Wait! Before you click away, chances are good someone close to you who has given birth recently has benefited from a placenta encapsulation service and you didn’t even know it! The Jacksonville Baby Company recognizes the importance of healing quickly and getting your energy back after birth. A supported transition from pregnancy through the fourth trimester helps facilitate mother-baby bonding and helps you get back to living the lifestyle you love! We are happy to stay ahead of the times by bringing you a superior placenta encapsulation service. Read on to learn about the “what”, “why”, and “who” and contact us so we can share with you “how”, and “where”! 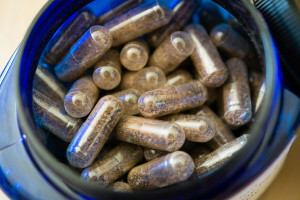 What Does Placenta Encapsulation Mean? It simply means to put your dried, powdered placenta into capsule form. Placenta encapsulation is a socially acceptable and palatable way to consume your placenta! Why The Jax Baby Co. for Placenta Encapsulation Service? Our procedures and protocol not only meet, but exceed the standards for excellence in and around Jacksonville, Florida. We use only vegan capsules and highest quality alcohol for tinctures. You’ll have peace of mind knowing that we have extensive knowledge about the human placenta and it’s preparation for safe consumption. Because your safety is paramount. We do not cut corners with safety or compromise your health. Our Postpartum Placenta Specialist is dual trained and dual certified, holds a current food handler’s certification, is OSHA certified for bloodborne pathogens, and has the highest safety and preparation standards. 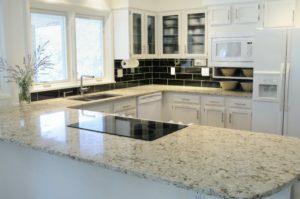 Your certified specialist prepares a space in your kitchen for the encapsulation process. We bring all of our own equipment and supplies except the placenta and the kitchen sink. We leave your kitchen cleaner than we find it! Your privacy is highly regarded and we are transparent with our process and procedures. Transparency of in-home encapsulation brings you peace of mind. There is no guesswork for you at all! 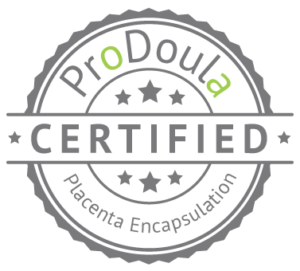 Your Certified Postpartum Placenta Specialist provides unparalleled professional support services on site so you’re not just getting “placenta capsules”. Exclusive benefits include access to your specialist when you have questions regarding anything post-birth, baby and body related, hands-on help during your face to face time together, breastfeeding support, help with learning how to swaddle, local community resources, and much more. With The Jax Baby Co. you’re getting the absolute safest, most professional and private placenta encapsulation service available anywhere in Northeast Florida. Hire the best because your health, safety, and happiness are well worth it! Placenta encapsulation service can be booked online from the comfort and convenience of your own home or office. We only book with a limited number of clients each month to ensure complete client satisfaction. Have questions or want more details on what is included? We are happy to walk through what the process looks like and give you specifics on why we are hands down the safest choice in Northeast Florida and Southeast Georgia! Contact us today, get deets, meet with your specialist, and check more balanced postpartum off your list! Check out our FAQ page for frequently asked questions and answers! HERE is a great link with studies done on consuming the placenta.